Children are never mistakes made by their parents. Although some adults think they are, I don't. I don't remember ever thinking that way. All I know is that having children without being married to your partner is a sin. At least, that was my way of upbringing which is why I perceive it as such. These days many unmarried couples have children. They have them out of wedlock and yet they do not care about what other people will say. Whether people would think what they are doing or what they have done is immoral, they don't mind because most of these couples think that their children are blessings. Babies are blessings to unions but sadly, not all couples who have children think they are. Since some are unplanned, some are not ready for it. Some tend to seek ways to avoid their babies from being born. 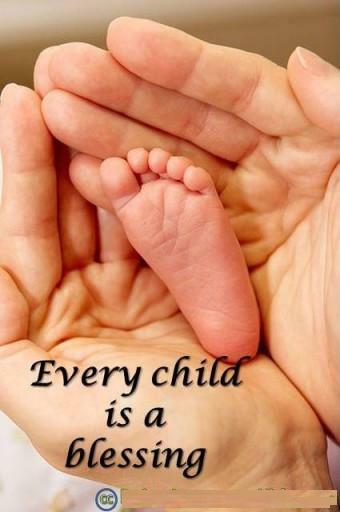 Whether they get an abortion, drink something for the baby to die or perhaps give the baby away to be adopted by someone else - it does not matter. For to them, they do not want children. They don't care what happens to them. Unfortunately, many couples who are married, want children and are eligible to have them cannot. Such instances make me question how unfair life can be. How can I not be bitter when I too asked for a child and then after being given to us, she was taken from us after 9 days of being alive on this planet? It is hard to think positively if I tend to compare myself with other people who are not worthy of their children because they do not care for them and do not even want them. This is why I am trying not to. Instead, I am just going to pray for them and hope for the best for their children. To this day, my husband and I continue to pray that one day God would grant us our only wish, to have a healthy child without complications. A child who will grow with us. A child that we can nurture and teach. A child that we will always be proud of no matter what. A child that we will support and love forever. We had Lilly once but God took her away to be one of his angels. Now, we want another one but this time we hope that he/she will stay. would know only based on what I read and what I learned. I would also know based on what those who know told me. I have never experienced raising a newborn baby on my own. I know it would be quite a responsibility. Am I ready for it? Thinking about that now makes me sad. I was ready but perhaps God thought I wasn't yet. We weren't yet. Such thoughts are painful to digest. Maybe now was not the right time for us to have a baby. Does that mean that we do not deserve to have Lilly in our lives? That thought continues to haunt me and hurt me at the same time. If young women can take care of their children, why can't I? I am already 28 years old for crying out loud! In the past, I liked babies and children but not as much as when I got pregnant. I always liked the thought of me teaching my own children things that only I can teach. I like the thought of spoiling them and yet disciplining them at the same time. I like the thought of hearing their laughter and despite the pain that I would feel when I hear or see them cry, I still like the thought of it. They are my children after all. Seeing children everywhere made me happy while I was pregnant. I continued to rub my belly as I talked to Lilly as I told her about the things that we would do together. Sadly, we can do them no more. She has gone away. My child has left me. She has left us. I worried about the little things when I was pregnant. I worried about her a lot but I had strong faith in God and continued to pray for her each day and night. I would often be in tears while I prayed buy after awhile I would be smiling again as I talked to her while rubbing my belly. That gesture soothed me. It soothed her as well. Whenever she would be really naughty inside of me, I would calm her by talking to her and rubbing my belly. Now, doing that would make me look like a fool. I still rub my belly though as I continue wishing she was still inside me. Yes, I might need counseling as my heart continues to yearn for her even though my mind tells me to get over it. When I was younger, I was scared of getting pregnant without getting married. I was scared because I was told that it would look bad and that my older relatives would hate me if that happened. I know this because I know a lot of my cousins and step siblings - younger and older than me experienced them. Things are never quite the same but they are still with the family because we are family. But society in my country thinks differently. It dictates the right and wrong of things here. I don't know if I should be happy or sad because of that. Somehow sometimes I am both. Mostly though I am upset because of it. Now I think that unmarried or married, people should have children. It is their choice. It is their lives to begin with. Who are we, the society, to decide what is wrong or right for them? Isn't getting married just because you have children not a good reason to enter a relationship that will bind you forever? I am married. I think that if people want to get married, they should get married because they love each other and not because they have to. Children should not dictate the union of their parents. I know this is a modern thought and that religiously, the foundations of family includes a father and a mother along with their children thus, if one is religious or is in a family that is, then he/she should follow it. My husband and I were together for nearly 5 years before we got married. We will be 2 years together this coming December and we waited to be married before having a child but we lost her. Somewhere along the way, we thought: Should we have had Lilly sooner instead of later? Could that have affected the outcome of her life now? Nobody knows for sure but we decided not to think about that anymore. The past is over and we are in the present. The present that we cannot seem to get out of. I love my parents a lot and it is because of them why I have values. These values might be old fashioned but I wish to instill them to my children. To Lilly. But I can't do that now. Which is why I have to wait if God will give me another baby to teach. I respect my parents even if we have misunderstandings at times. We have had arguments and fights. We all cried due to heartbreak and I am sad because I feel like I just keep on breaking their hearts. I do not have the right to do that. Not to them. I am always telling them how sorry I am. We miss you, our little angel, Lilly. You will forever be our little blessing even when you are no longer with us.